Eden House - Porto, Porto, Portugalia : Rezerwuj teraz! Cancellations must be made 72 hours prior to arrival or the first night stay will be charged. This also applies for no shows. Located in the heart of one of the oldest tourist destinations in Europe, the Eden House Porto is the prime destination for those who want a comfortable and economical stay, but also for exploring the monumental and artistic heritage of the Oporto city. The Eden House Porto is in a classical style building from the beginning of nineteenth century, and was later refurbished giving more modern traits to the House, keeping however its original style. 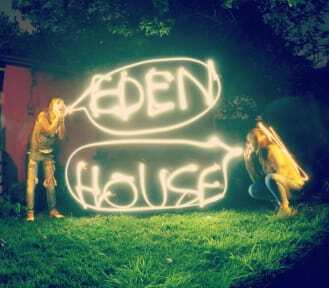 At Eden House Porto you can find accommodation in dorms (female or mixed) and private rooms (double or twin ensuite). 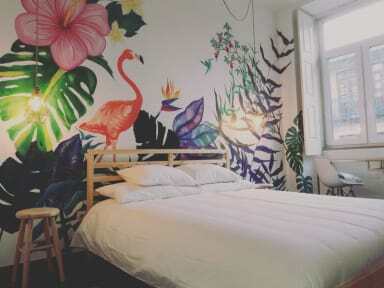 The decor of each room is unique. All rooms very spacious. We have ideal common areas to make you feel at home. Big kitchen and dinning room, great outside terrace and a cosy living room with big screen, movies, guitar and books. A valid ID is required for check-in. All dorms and indoor areas are non-smoking. There are smoking areas outside. Cancellations must be made 7 days prior to arrival or the first night stay will be charged. This also applies for no shows.